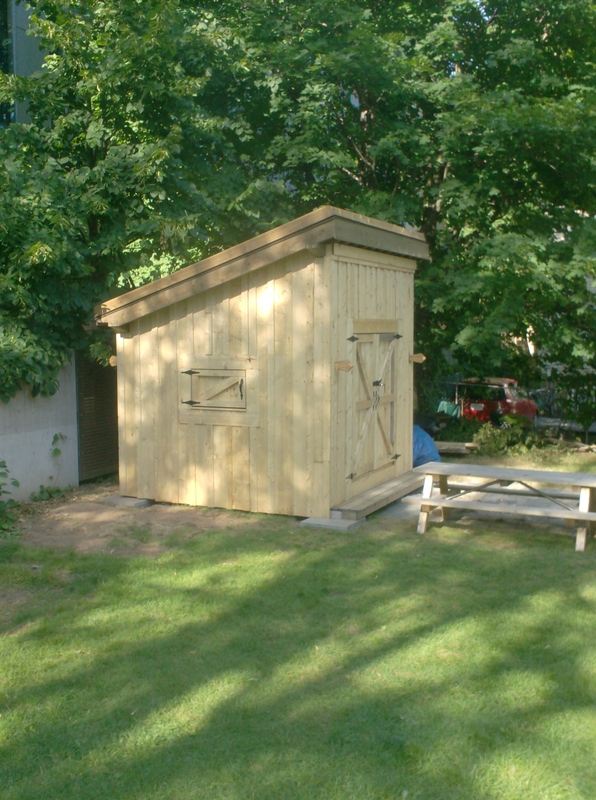 The new SeeMore garden location behind the Computer Science Building has a garden shed!! Many thanks to Rob and the folks from Community Forest International ( http://forestsinternational.org/) for putting together this fantastic structure. The frame fit together nicely like a giant jig-saw puzzle, and the beams were held together with wooden dowels we made with a super-cool old hole-drilling machine. This type of construction is great if you are building out in the middle of nowhere with no power. Go team! !